You've made it. The ceremony and reception have commenced, you've danced the night away, and, let's be real, you and your new hubby are ready for some quality time. The best day of your life is coming to an end and you are beyond grateful for the friends and family who traveled near and far to spend these special moments with you. How could you ever express your gratitude? 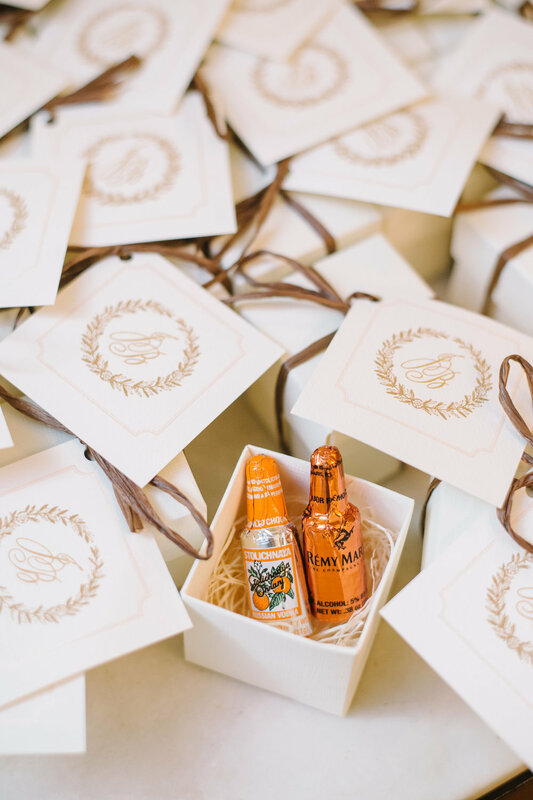 Besides warm hugs and kind words, the right wedding favors can go a long way in expressing just how great you and your husband appreciate your guests. So, what exactly are the right wedding favors to give? We have wedding favor ideas that will leave a memorable gift of appreciation your wedding guests won't soon forget. Check these out! The list could go on and on, but these were a few hand-picked ideas that enhance the awesome memories made on your big day. As you conclude on which wedding favor you and your groom favor the most, remember to take a deep breath and keep the best party favor at the forefront of your mind: The union between you and the love of your life. Now that is the right party favor. A memory that will last a lifetime.